This morning when I woke up, I remembered that I had a score to settle. A crispy cheesy score. 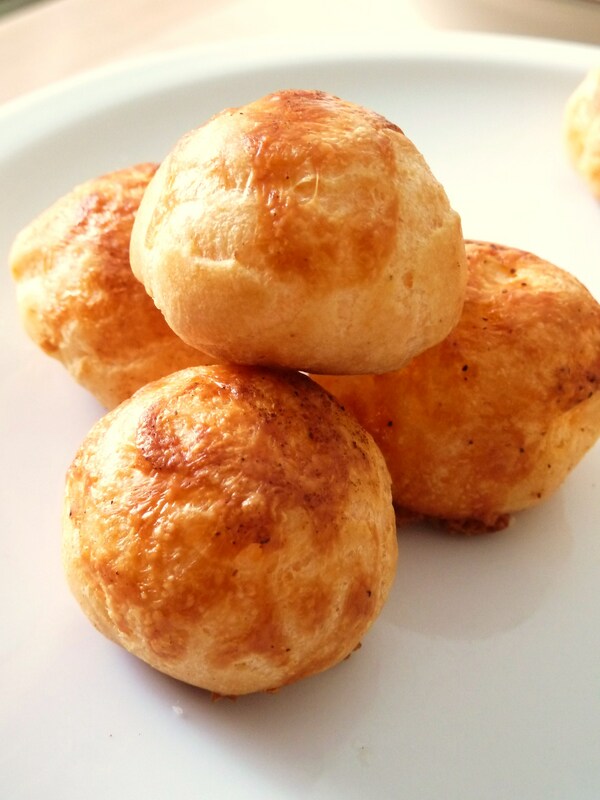 I tried to make gougeres, or cheese puffs last year, and they were everything except for the puff. 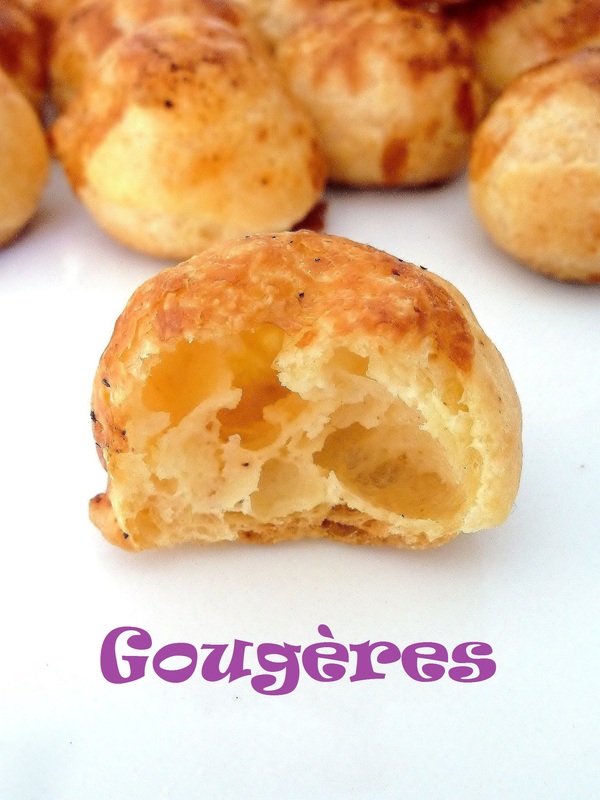 So I looked up David Lebovitz’s post on gougeres and something he said made me feel better. He thinks “the funky-looking ones have a lot of charm”! How nice of him. Even so, I figured it’s time to show those little puffs who’s boss. Oh, if you ever need to impress someone, this is the way to go. 1. Preheat oven to 425 degrees F. In a small saucepan, heat the water, butter, and the pinches of spices together until butter is melted and water is boiling. 2. Add flour all at once and stir quickly until the dough leaves the sides of the pan. Turn off heat. 4. Add the egg and beat until the dough is soft (more of a stiff batter) and shiny. This might take a few minutes, don’t despair if it looks curdled, just press on. 5. Stir in the cheese. 6. 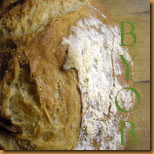 At this point, you can: pipe the dough with pastry bag and round tip onto a baking sheet lined with parchment; or lacking a pastry bag, use a ziplock bag with a corner snipped; or just use two spoons to drop the dough. 7. Just make sure they’re evenly sized, about as large as a cherry tomato. 8. Sprinkle with extra cheese. 9. Bake at 425 degrees for about 6 minutes, until they have puffed, then reduce heat to 375 degrees F and continue to bake another 6 minutes, or until the puffs are browned on the sides. 10. 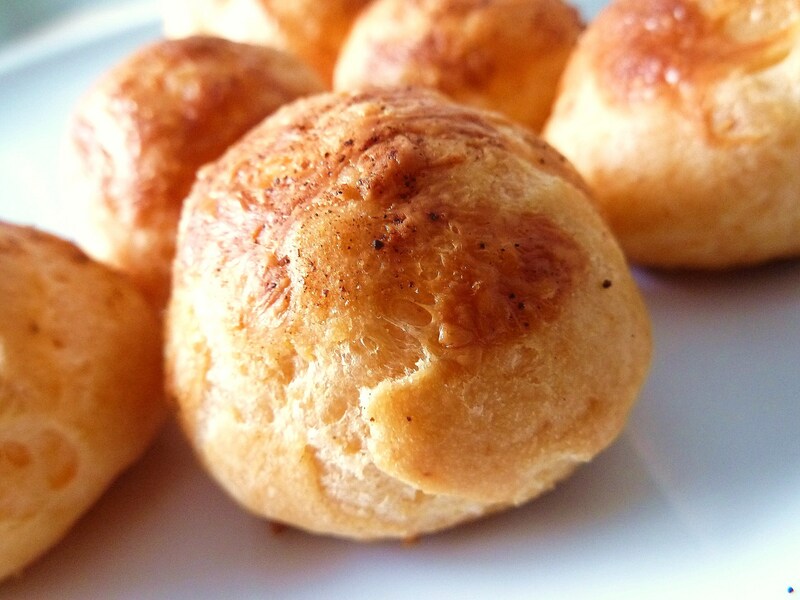 Take care not to underbake or the puffs will collapse when taken out of the oven. 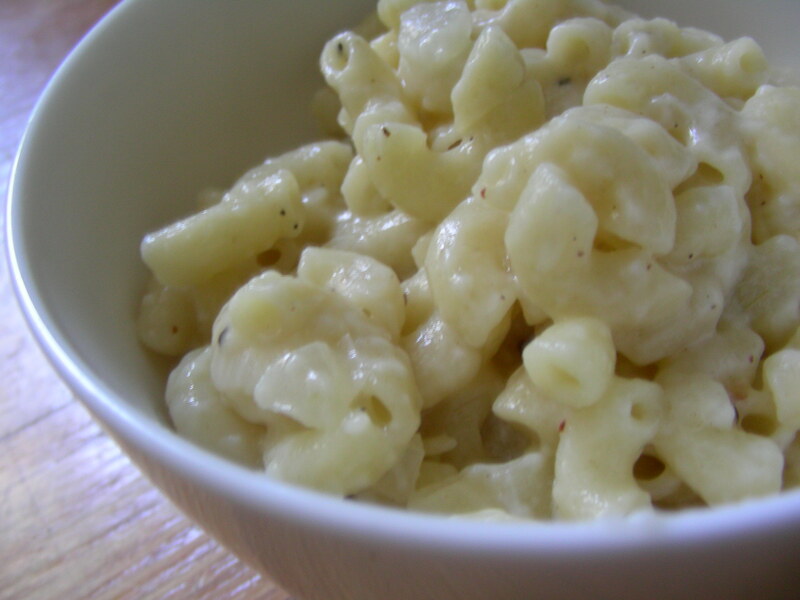 With the exception of my mom, pretty much everyone else likes mac and cheese. Unless you don’t like pasta. Or cheese. 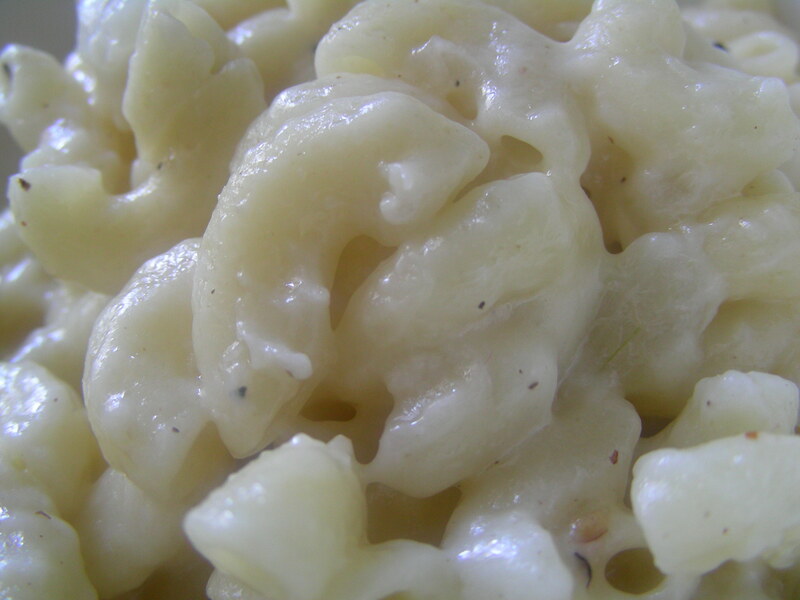 Otherwise, for all you pasta and cheese lover people out there, here is a simple and easy mac n’ cheese recipe that I whipped up for lunch. It contains onions and garlic, so I guess it isn’t “pure” in cheesy creamy goodness. But I love both of those things, so there they are. Serve with a fresh salad, just for kicks, or to balance all that fat and carbs. Fill a pasta pot or a large pot half full with water and bring to a boil. In the mean time, melt butter in a saucepan. Toss in the onion and garlic and let them sweat on medium heat. Season with salt and pepper and cook until soft and lightly browned, about 6-8 minutes. Add the flour and cook, stirring, for a few more minutes. Add the milk and quickly whisk until smooth. Add the nutmeg and mustard. Heat until bubbly and thick. Turn off the heat and add the cheese. Eat some sauce with a spoon. Season again with salt and pepper. Do not under salt. Cook the pasta until al dente, following the directions on the package. Drain well and toss in the cheese sauce. Serve hot and happy. And oh yes, it is worth mentioning here too that my laptop has died. And strangely enough, it chose the precise moment when I sat down in front of it to leave this earth. Like it wanted me to watch its demise. The poor thing probably hated me right till the bitter end.